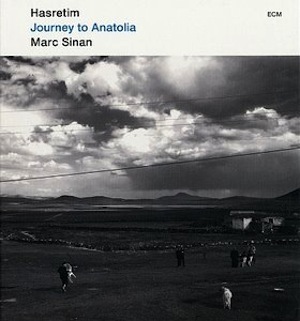 ECM has made a reputation for its eclectic and open-minded approach to music and this is one perfect illustration of why it has been such an inspiration for and supporter of internationally lesser recognised world roots sounds. Who else would have had the foresight and put their hands into their pockets to finance a project that unites grass roots musicians of Armenia and Turkey and couple them with the Dresden Symphony Orchestra. That feat alone is deserving of our attention and gratitude. What of the music? It is a deliberate attempt to take the listener on a musical voyage of discovery and to aid them a concert of the performance from July 2011 has been included in DVD format with stunning images of the local scenery. Overseeing matters musically is Marc Sinan whose own ancestral roots lie with his grandparents who resided on the Black Sea coast, near to the Armenian border. What truly comes across in the film is the extent to which the eastern roots instrumentation has been expertly weaved into a cohesive whole with the textures of a symphonic orchestra of western classical and east meets west in a heady fusion. The various frescoes bear testimony to the métissage of cultures as with the use of the darbouka and oud which are both commonplace in the Maghreb and Middle East, or on the Turkish saz. On occasions the instrumental accompaniment becomes minimalist as on Painting Four with the traditional wailing voice of Sener Götz.